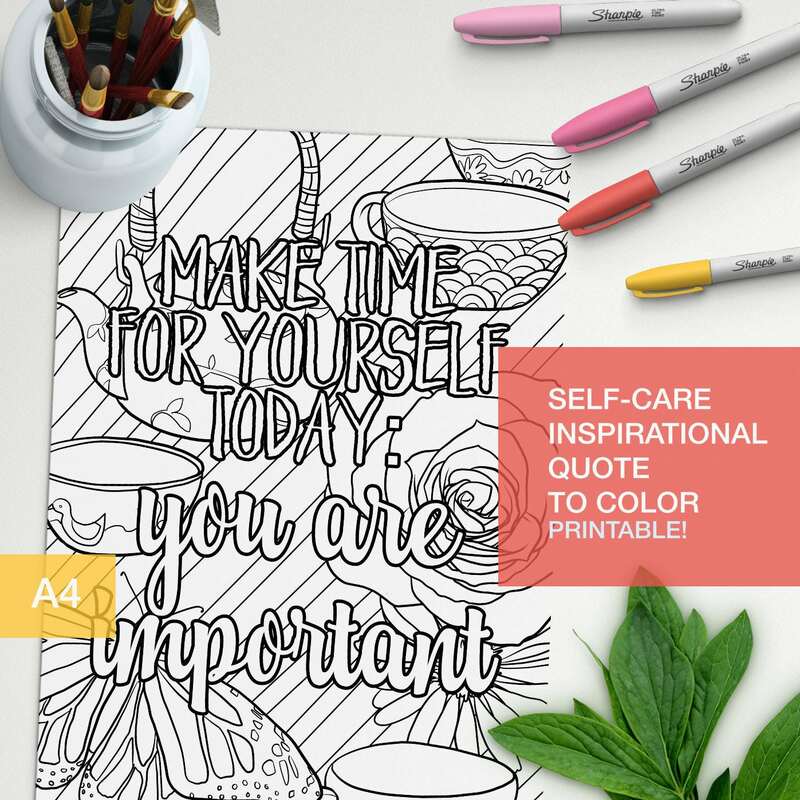 Adult color book inspirational quote "take time for yourself: you are important" with teacups and flower art. Make your own inspirational art! !